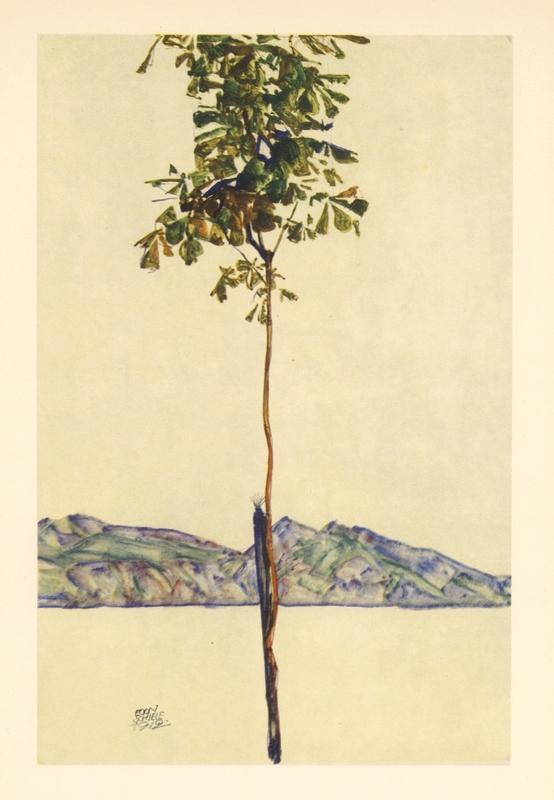 Egon Schiele "Chestnut Tree at Bodensee"
Offset lithograph (after the watercolor). Printed in Vienna in 1950 by the Österreichische Staatsdruckerei (Austrian State Printing House) for a now scarce portfolio. The image size is approximately 10 1/2 x 7 1/4 inches and the full sheet size is 13 1/2 x 9 1/4 inches (337 x 235 mm). Signed in the plate (not by hand).